If you live the fandom life, you have likely watched some questionable films in the name of watching the entirety of your favourite actor’s filmography. And while you love them and they’re extremely talented, every actor has been in some truly atrocious movies. You don’t automatically get to the top – and even once you get there, not everyone’s perfect. It’s no secret around these parts, my favourite is Sebastian Stan. If there’s been one constant in my life for almost a decade it’s drinking more tea than is probably healthy for a human person, wanting to pet all of the dogs, and fangirling over Sebastian. As such, I’ve watched pretty much his entire filmography. There are a couple of his earlier projects that I haven’t, and I, Tonya (I know, I’m the worst Stan Stan), but the majority of it has graced my eyeballs, for better or for worse. Reader, some of them are really bad. While a few of these come down to personal taste (there’s at least one film on this list that a number of people have told me that they really enjoy) most of them are just downright awful. They can’t all be [insert your favourite Sebastian Stan movie here], right? Before we get started, I do want to note that these are movies that I have watched for the express purpose of seeing Sebastian. There are certainly other movies that he’s starred in that I’m not a big fan of, but these are the ones I went out of my way to watch because I saw his name on the cast list. Because I’m that person and have no shame. I understand that objectively this is probably a very good movie. But I have complicated feelings about Darren Aronofsky, and I hate feet. Both of which are featured fairly prominently in this film. Also I just … didn’t like it. So right out of the gate I likely wasn’t going to enjoy this too much. But as I said, I’d watch anything for even five seconds of Sebastian Stan. And that’s about what you get out of of Black Swan. Stan has a very minor role in this film as a man that Nina and Lily meet in a nightclub (along with The Covenant castmate Toby Hemingway because everything is connected), He and Natalie Portman’s Nina chat for a few moments before they, along with Mina Kunis’s Lily, and Reid – I mean – Tom, hit up the dance floor. It’s almost a blink and you’ll miss it scene. Sometimes your fave’s presence isn’t enough to sway you on a film that you’re already not enjoying. The problem with Gone is that it is virtually forgettable. I’ve only seen it once, and granted Sebastian’s role in it isn’t that large. Thinking on it now, this actually may play a role in whether or not I enjoy a Sebastian Stan Screen … Thing (look, I tried to do some alliteration and it didn’t work, but I tried okay). Sebastian plays Billy, boyfriend of Molly (Emily Wickersham). He spends the majority of his screen time on the phone with Amanda Seyfried’s Jill Conway, seemingly not that concerned about the fact that Molly has gone missing and has possibly been kidnapped by the serial killer that once tried to kill Jill. What burned me the most about this film was not so much the fact that it was awful, but how I came to see it. I was going to see it regardless, but at the time of its release the bus drivers in the city that I lived in were on strike, and as a result I had to take a cab to the theatre. I knew this film wasn’t going to be great, and probably wasn’t going to be in theatres for long, but I had to support my Hollywood Boyfriend. So on top of paying for a ticket and paying for snacks, I had to pay for a round trip cab ride to see this stinker. Was it worth it? No. Would I do it again? Yeah, probably. I DON’T LIKE HORROR MOVIES. WHY WOULD YOU MAKE ME WATCH A HORROR MOVIE, SEBASTIAN? As far as horror movies that I’ve actually watched go, this is probably actually one of the more tame ones. There’s some jump scares, but the plot isn’t all that terrifying. I’m just a wuss. But it was a box office bomb, and one of the worst horror films of 2012. So, the fact that I dislike horror movies aside it really wasn’t that good. The film follows Stan’s Ben and Ashley Greene’s Kelly. Ben, along with three classmates in college years before, tried to recreate a parapsychological experiment. The experiment, of course, goes horribly awry. And now an apparition is out for revenge. I’m honestly questioning now why I was so terrified watching this. Worst yet – his hair. What did they do to his beautiful head of hair? Logically, I know it’s because he had “Bucky hair” and something needed to be done about it, but couldn’t they have figured out something better than whatever this was? Yikes. Spread is one of those films clearly meant to appeal to a certain subset of people. I’m unsure of who that subset of people are, but I’m not in it. The film centers on Ashton Kutcher’s character, Nikki, a gigolo living in Los Angeles who preys on older women who can provide for him. This film clearly set out to be a deconstruction of the LA high life but instead seems more like a celebration of it. It’s only saving grace really is Nikki’s friend Harry, played by Sebastian, who seems to be the only honest person in the whole movie. Sebastian wasn’t in this enough to warrant putting up with Ashton Kutcher in a leading role. I’m sure he’s a good dude, but I can’t stand his acting. Furthermore, the subject matter just didn’t jive with me. It’s also not as smart as it thinks it is. Luckily, the director, David Mackenzie, would go on to direct one of my favourite films of 2016, Hell or High Water, so all is forgiven. This film has the honour of being the only film featuring Sebastian that I’ve watched but haven’t watched in its entirety. Seriously, I got to the halfway point and then started just fast forwarding through it to see his scenes. It is easily one of the worst movies I’ve ever had the misfortune of seeing at least in part. And I’ve willingly watched films starring Dane Cook. I’ve talked about The Architect before, it’s one of many films and TV shows that Sebastian’s character employs a very effective use of tears. It’s a shame because the basic premise of the film sounds interesting, but is so overwrought with drama that you don’t end up connecting with any of the characters, and instead just spend the scenes wondering when it’s going to be over. Sure, he spends the majority of the film looking like a sad, adorable puppy, but those tear-filled baby blues aren’t going to sway me here. Every actor has their duds, Sebastian Stan is no exception. But among these cringe-fests there are some absolute gems in his repertoire. The Bronze, Ricki and the Flash, Political Animals, Kings, and of course the Captain America films (The Winter Soldier especially). If you’re curious, and find yourself watching one of the less than stellar films mentioned above, simply cleanse your palate by watching one of those afterward. And if nothing else, seeing his face on screen for even a few moments may make watching those duds worth it. Did I miss one? 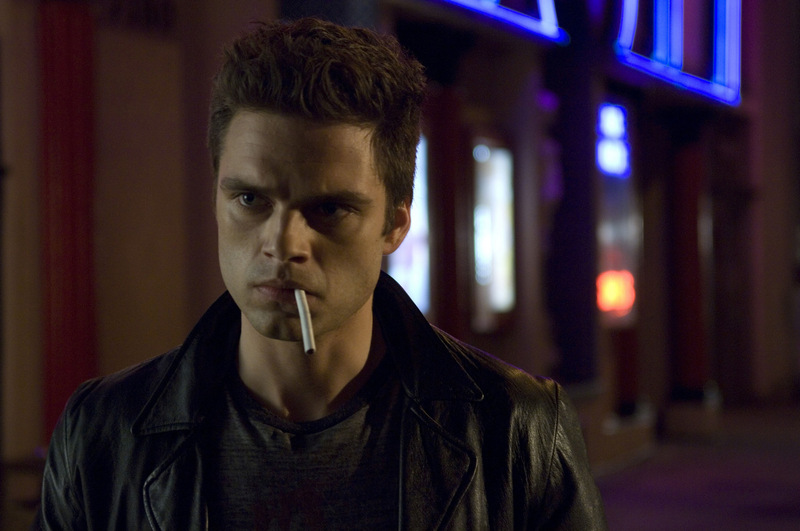 Is there an absolute trash barge of a film starring Sebastian Stan that I didn’t mention? Tell us in the comments below!